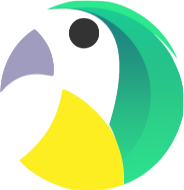 ICO Parrot aggregates ICO ratings from multiple sites to help you get all the information you need in one place. Get a daily digest with the ICOs that will launch tomorrow. The information provided on this website does not constitute investment advice and you should not treat any of the website's content as such. Conduct your own due diligence and consult your financial advisor before making any investment decision.